CheckBox optical measuring solution incorporates laser tracked robot providing comparable CMM performance. API, recognizing manufacturing industry’s increasing demand for part measurement automation, with a higher degree of accuracy, has developed its Smart Factory Inspection System (SFIS) with true 6DoF real-time 3D robotic measurement incorporating its proven metrology technology and calibration components. SFIS can be delivered as a customized integrated solution or as a standard production inspection cell. The API SFIS CheckBox is an optical 3D measuring solution developed for the inspection of production parts for installation integral to manufacturing operations. 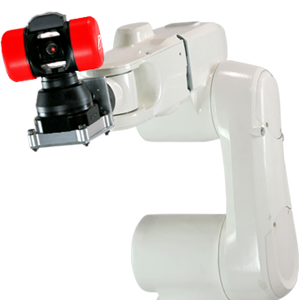 Modular in design, and scalable in size, CheckBox utilizes a standard 6 axis industrial robot with real-time encoded robot position using the benchmark API 6DoF RADIAN Pro laser tracker. Real time enhanced robot accuracy completely eliminates any requirement for problematic stickers used by photogrammetric robotic measuring systems and provides comparable horizontal-arm CMM accuracy. 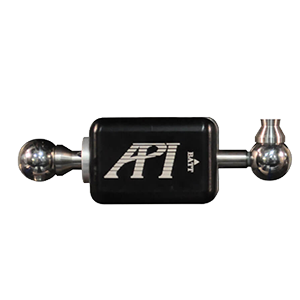 API’s RapidScanTM ultra-high dynamic range 3.2 mega-pixel stereo imaging optical sensor captures a 3D point cloud of the part within its large field of view, and is capable of measuring highly reflective and composite surfaces. With sub pixel edge detection, the (random + grid pattern) optical projection generates a highly accurate dense point cloud. 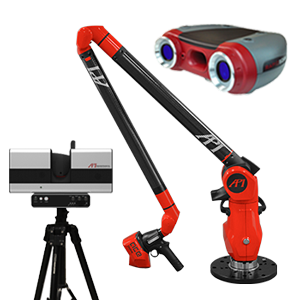 The systems metrology evaluation software provides point cloud geometry extraction and surface topology creation providing direct comparison with part digital model. Generated point cloud quality makes RapidScan the ideal solution for intricate features and stud inspection in automotive sheet-metal weldments. The CheckBox modular enclosure allows system size to be configured to suite each customer’s specific measurement task while providing a standardized solution. 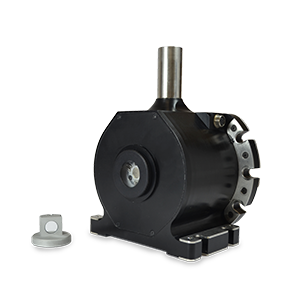 Optional rotary table for part positioning can be incorporated together with automatic part loading as the application necessitates. API’s network of SFIS project integration partners will customize the final measuring solution utilizing API supplied SFIS metrology technology components including measuring sensor, laser tracker, metrology software and application software tool-kit. Standardized SFIS is the ideal automation solution for production floor quality control, combining reliable hardware with robust software, to allow trend analysis monitoring of production processes, perform root cause analysis, and delivery of increased productivity and process improvements.